Thanks to the generosity of one of my employees, we were able to get two deer this year, field dressed and delivered to the cooler. It doesn’t get much better than that. Also for Christmas Spork received a knife that I had made for him. He has been awful proud of wearing a knife and has been itching to have something to cut. Its a big moment in a boys life when he is responsible enough to have a real knife and Spork is justifiably proud. With two deer on the hook, he had just the opportunity to try out the new blade. 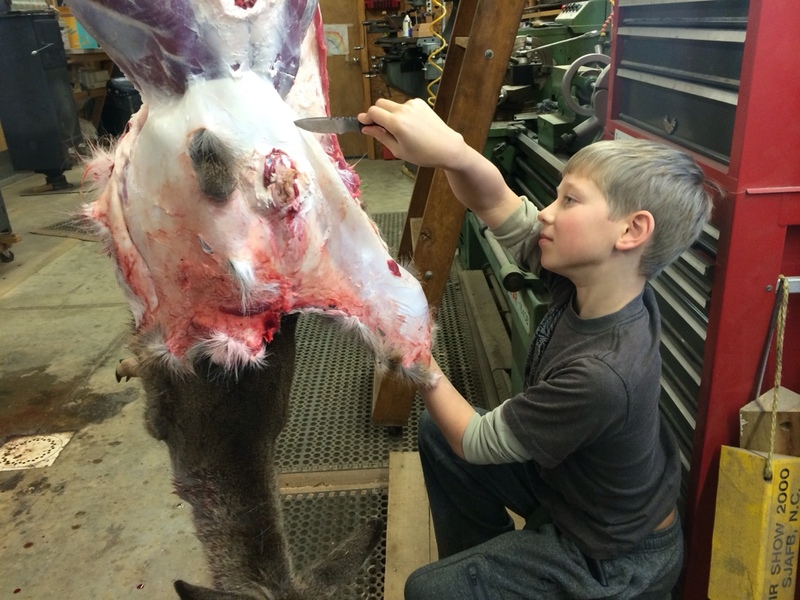 There was much discussion between he and I as we worked on skinning the first deer. You see at 9 he has never skinned a deer, or even been close to one. 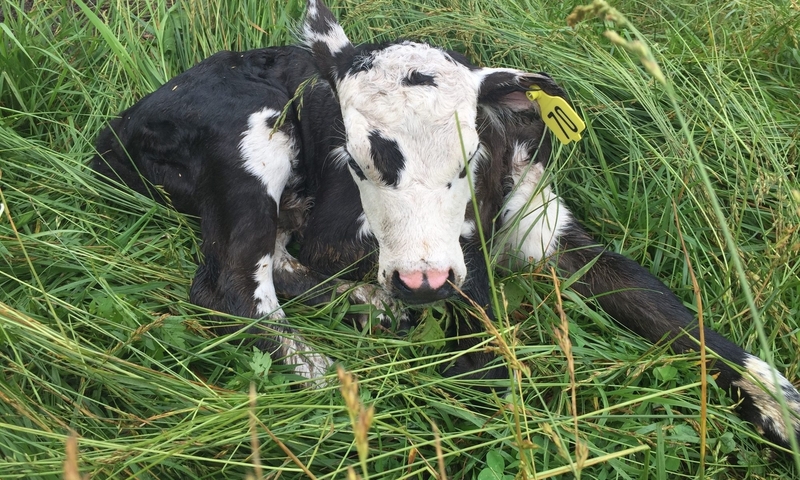 A cow, yes. He’s even skinned a pig, but never a deer. So we spent some quality father son time over the deer and he worked his side like a champ. He was truly a joy to work with, and I told him so. He even managed not to throw up, which was in question there off and on. Overall I was tickled we were able to share this experience and look forward to doing it again when its time to butcher the deer next weekend. It will be good to have some deer sausage because SWMBO informs me that we are running low on ground pork. These hams aren’t going to be done soon enough!